Ambulatory care services or inpatient care facilities - where are the differences? MEDWING conducted a survey on current working conditions in the care sector. In this article MEDWING compared the statements of staff working in ambulatory care services and inpatient care facilities. In order to understand the differences between both job models MEDWING outlined the respective developments as well as the general statements in both facilities. In the next step a deeper analysis of the respective working characteristics helped to understand the pros and cons of each job model. The analysis ends with a final outlook on future care models in Germany. 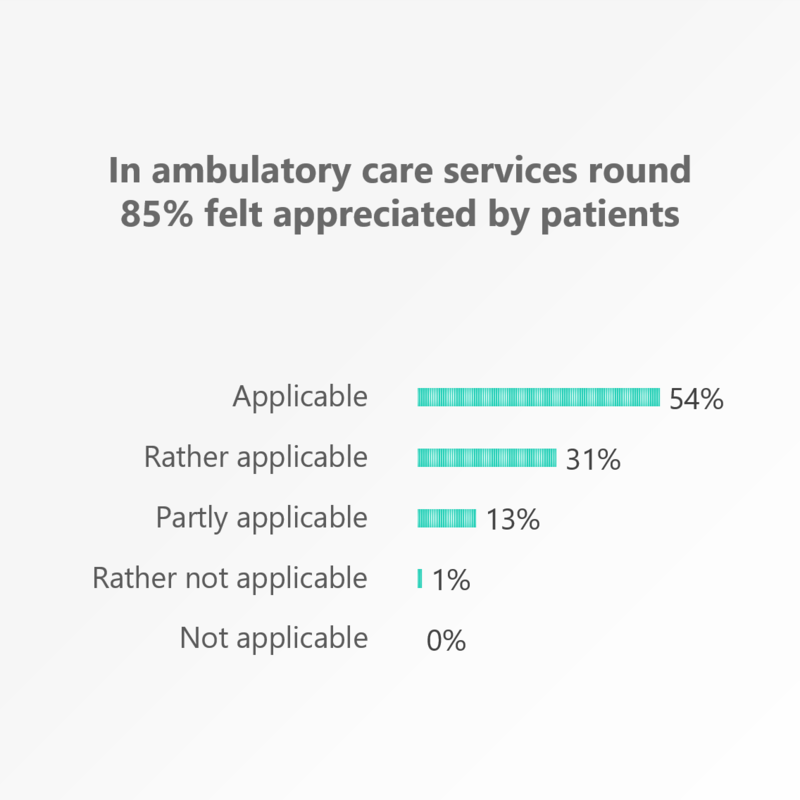 The main result of the analysis was the fact that especially staffs in ambulatory care services felt more appreciated by patients than in the other facilities. With regards to inpatient care facilities and ambulatory care services the MEDWING survey on working conditions in the care sector brought some interesting findings to light as well. Over 2,700 staffs from the care sector participated in the survey from nurses, caregivers up to care managers, charge nurses or residential care managers. In the second part of our survey we reached the conclusion that staffs in the care sector felt especially appreciated by patients in the ambulatory care services. In the next step we are going to take a closer look at the development in Germany of the two job models. 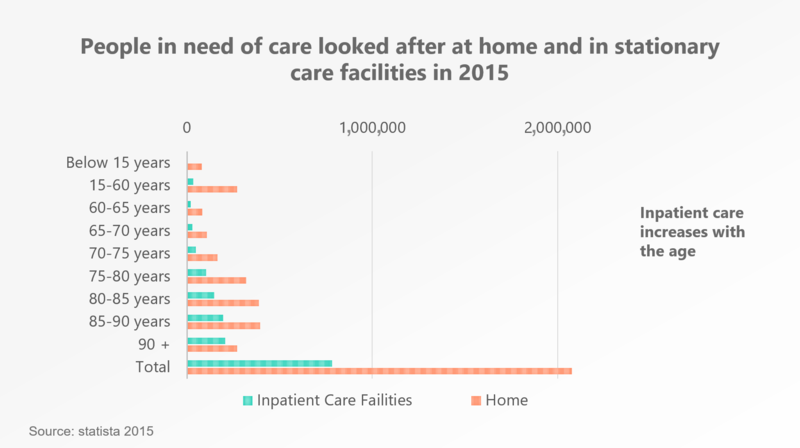 According to Statista the number of people in need of care who are looked after by ambulatory care services significantly increased over the past years; between 2013 and 2015 the increase amounted even up to 12%. With regards to the patients in inpatient care facilities the growth amounted only up to 2.5%. The constant increase of people in need of care especially had an impact on ambulatory care services. Comparing the growth of both job models between 2013 and 2015 ambulatory care services reported an increase even five times as high as inpatient care facilities (statistisches Bundesamt 2015). According to the monthly founding radar of pm pflegemarkt.com each month around 60 new care services are founded. In Germany ambulatory care services are active in more than 14,700 locations and they are still growing. Especially more and more private care home carrier are currently trying to enter the market of ambulatory care services. Although both facilities mostly belong to the area of elderly care they exhibit very different structures and job models which have a direct impact on the working conditions percevied by the staff in the care sector. But first of all we are going to take a closer look at the general statements of the survey participants. Regardless of the facility most staffs were employed by private carriers. 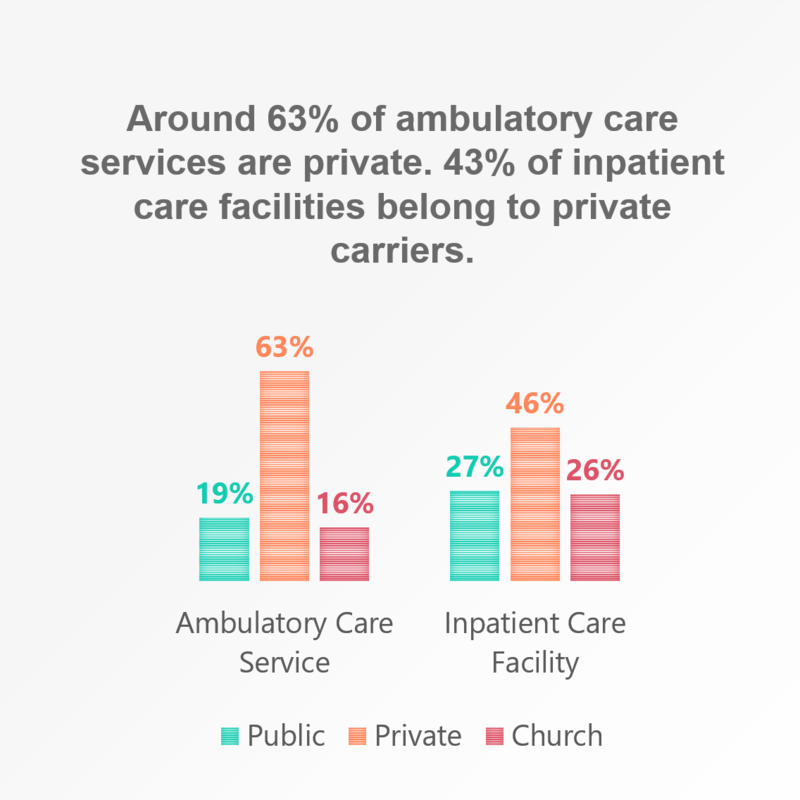 While over 63% working in ambulatory care services belonged to private carriers it was a bit less than the half in inpatient care facilities. However, around 27% of the participants worked for public inpatient care facilities. Especially those data indicate the fact that a majority of German ambulatory care services belong to private carriers. ﻿ With regards to the education of the care staff of both facilities there exist some considerable differences. 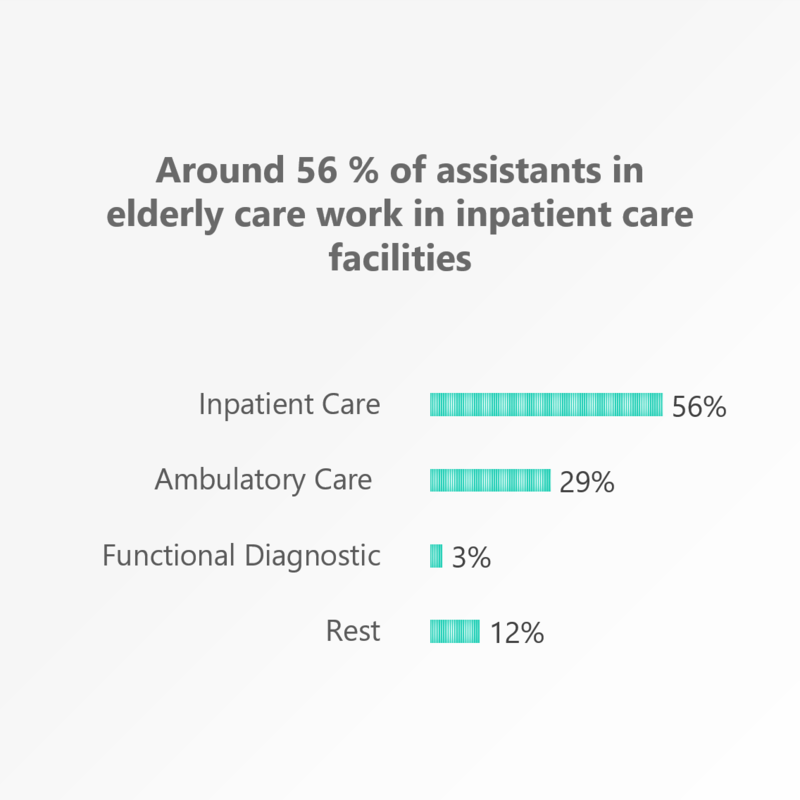 While a majority of certified caregivers, assistants in elderly as well as nursing assistants work in inpatient care facilities the distribution in ambulatory care services looks very different. For example only 8% of all certified nurses were employed at inpatient care facilities. However, around 12% of all certified nurses were employed at ambulatory care services. As a consequence ambulatory care services were the on the second place of the top departments of certified nurses right after the intensive care unit . If we take a closer look at the working conditions of both facility types the different working structures again come to light. In ambulatory care services for example, more staff stated that they had an influence on the assigned shifts than in inpatient care facilities. 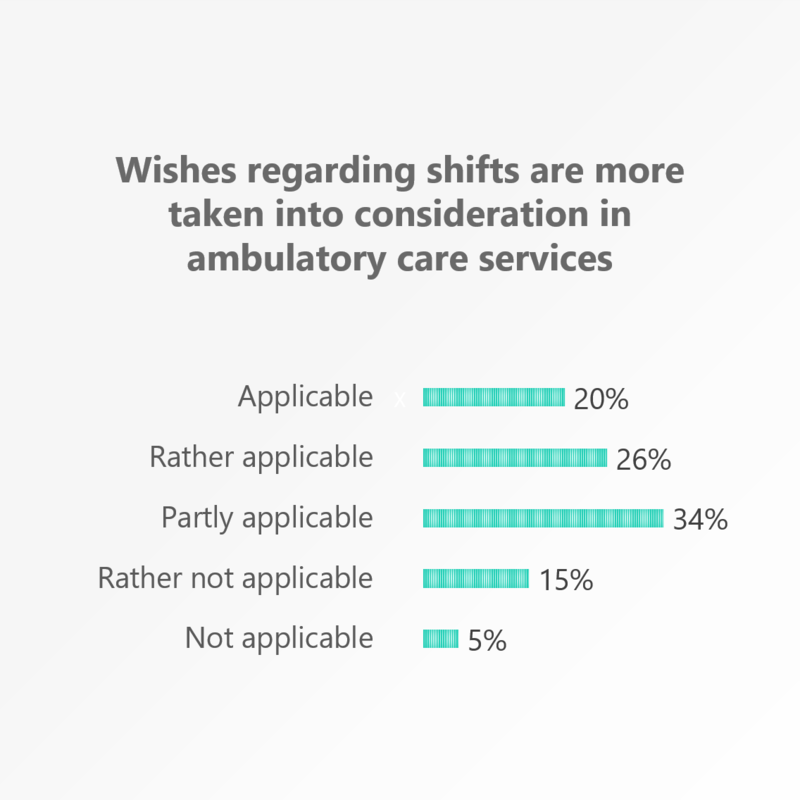 This result could be due to the fact that staffs in ambulatory care services mostly work in early and late shifts because relatives usually take care of the patients during the night. ﻿However, in inpatient care facilities this is not the case. Here, patients are usually taken care of round the clock. This is due to the fact that patients in inpatient care facilities mostly represent severe nursing cases who are not able to live at home anymore. Additionally, acivities not related to care were stated as the highest in inpatient facillities due to the strict documentation obligations. Although in ambulatory care services documentation obligations exist as well there is far less information to record because patients are usually still more independent. On the other hand, staffs working in inpatient care services reported overtime more seldom. This result could be related to the fact that staffs in ambulatory care services usually get a strictly planned and fixed route with patients which sometimes can deviate from the timetable due to to unforseen delays at certain patients. If a nurse takes more time for a patient than planned the entire timetable is moved backwards. On top of that, the nursing key in ambulatory care services was higher than in inpatient care facilities. In general, both facilities performed the best with regards to the perceived appreciation by patients. However, it was even higher at ambulatory care services. A reason for this could lie in the different structures of both job models. While it plays a very important role in ambulatory care services that one care worker always takes the same route and thus, is able to build a relationship with the respective patients and relatives over time, in inpatient care facilities a team is responsible for several patients at a time. Even though in inpatient care facilities the responsibilities for the patients are distributed over a team of workers and one care worker usually does not stand alone, several patients have to be simultaneousely taken care of which significantly reduces the time for the care worker to built a relationship with the respective patients. ﻿In general, both care models exhibited their pros and cons. One should figure out for oneself which job model seems to be more appealing according to the given characteristics. Nevertheless, ambulatory care services are probably going to play an even more important role in the future. They seem to represent a more cost efficient and patient-friendly alternative to inpatient care facilities, especially with regard to the increasing demographic change in Germany and the constant growth of people in need of care. The ambulatory care service actually enables the patients to stay in their familiar surrounding and at the same time ensures In der ambulanten Pflege wird es nämlich den Patienten weiterhin ermöglicht, in ihrem gewohnten Umfeld zu leben und gleichzeitig nicht komplett auf sich alleine gestellt zu sein.